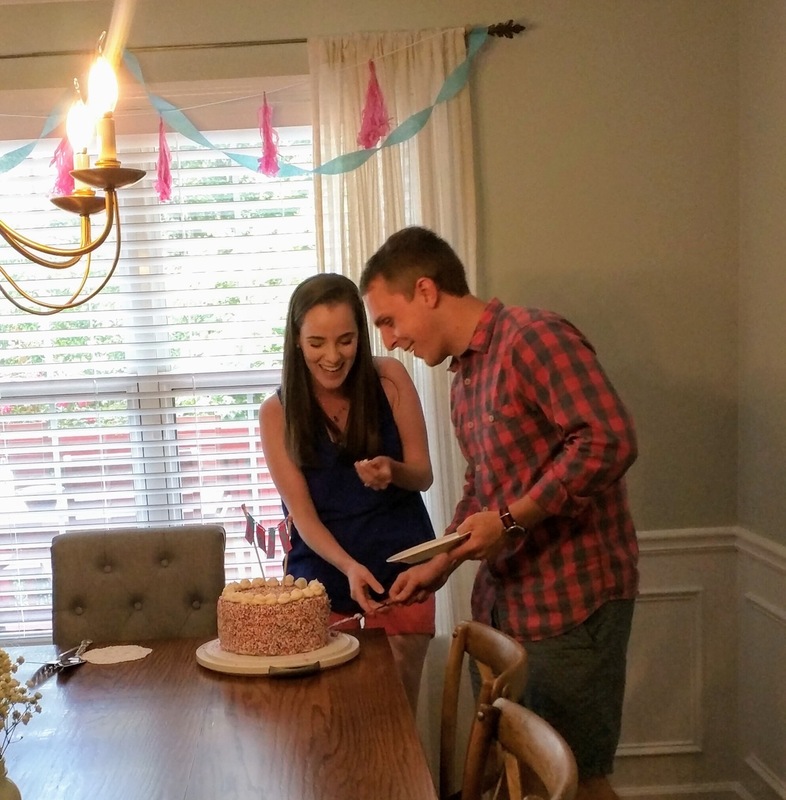 Back in June, we had a gender sonogram to find out if we were having a boy or girl! 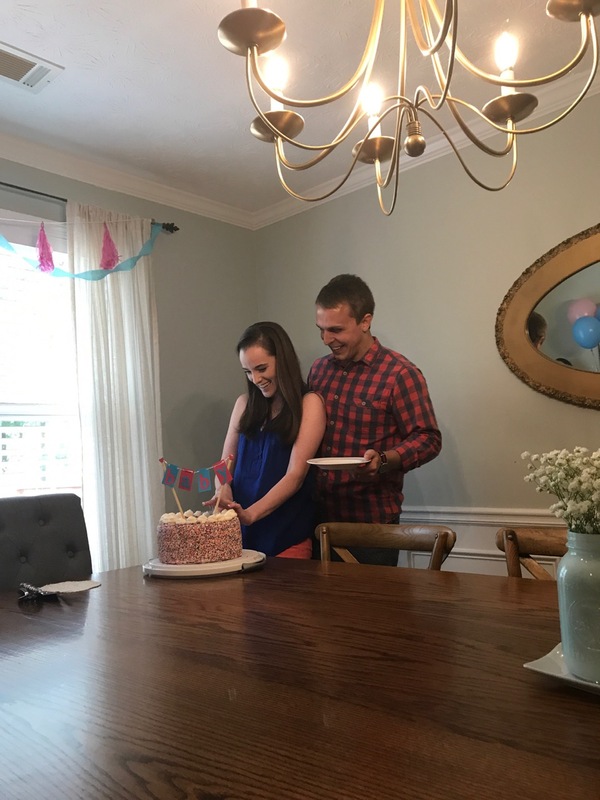 We decided to not find out the gender in the room at the sonogram, but instead wait an entire week to have a gender reveal party. 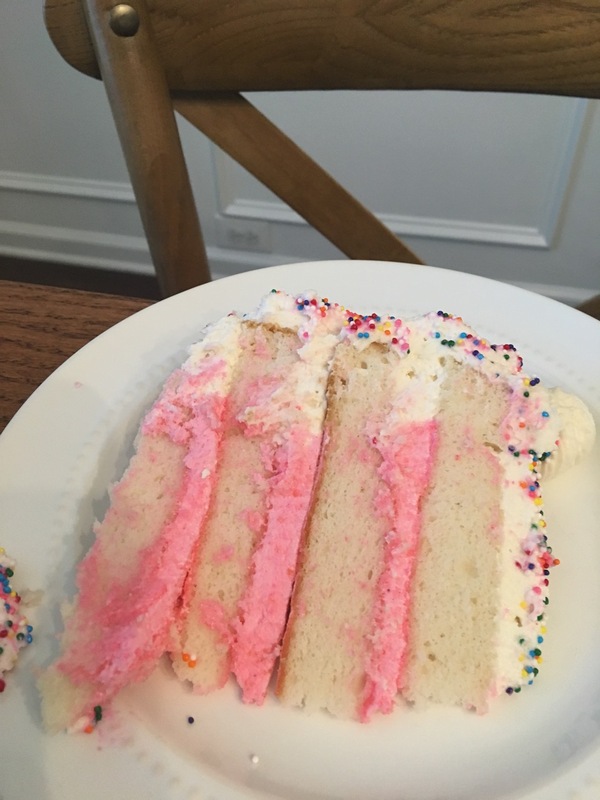 We had the sonogram placed in an envelope and handed it to our friend who also happens to be amazing at baking cakes. 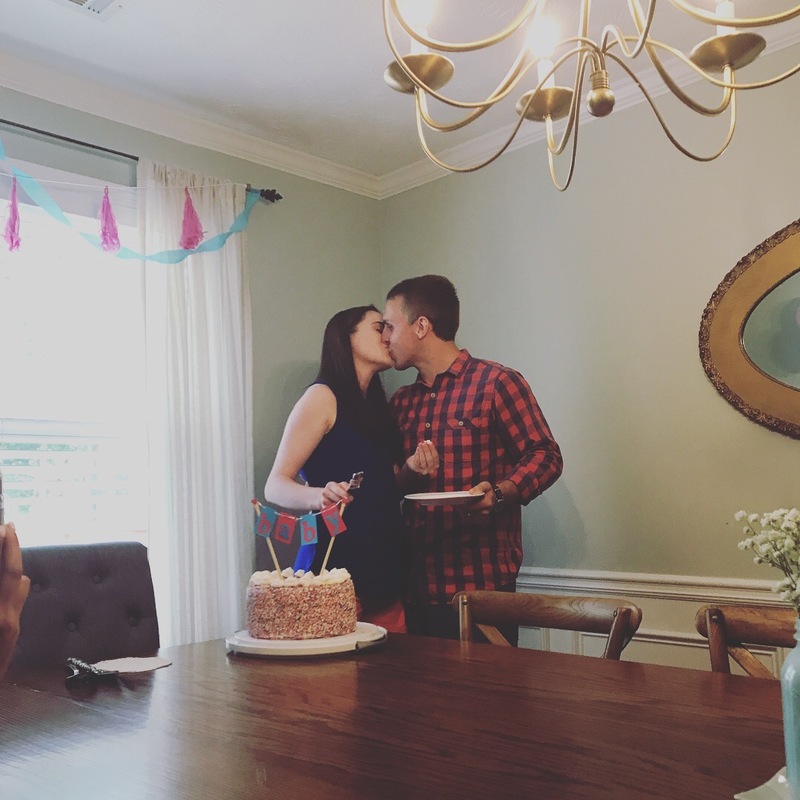 Another friend brought the cake to our house on the day of the party and we were able to find out with our loved ones whether we were having a boy or girl! Sadly, most of our Florida family and friends couldn’t be here, but thanks to Facetime and modern technology, it still felt like they were part of the party. 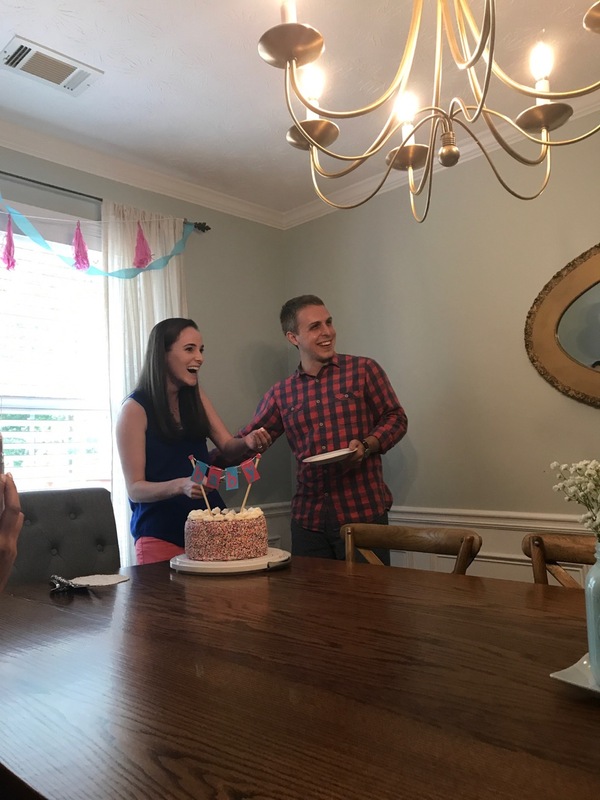 I used think gender reveal parties were silly and there are a lot of mixed feelings on the subject, but personally, I had so much fun! 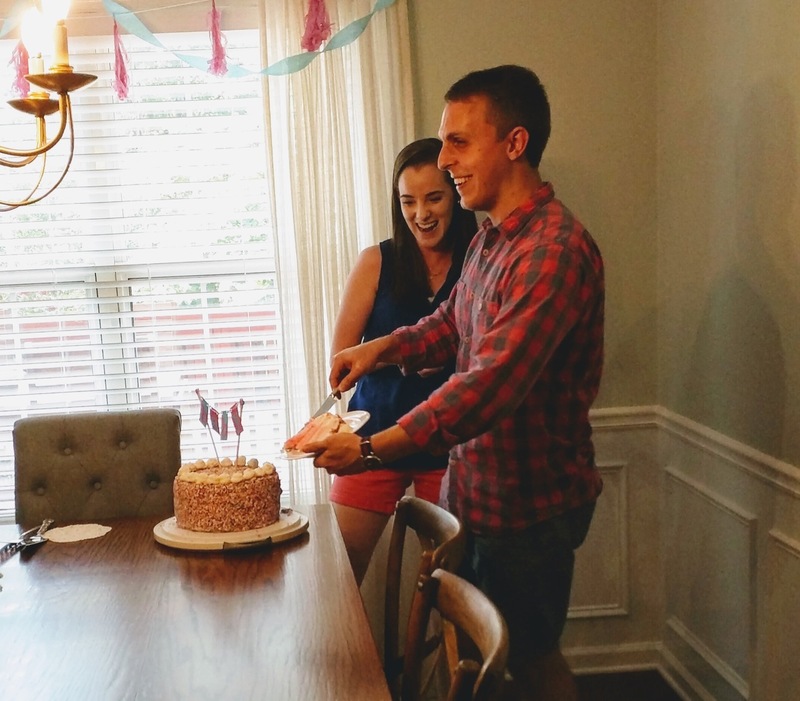 I LOVED getting to find out by cutting the cake and I would definitely do things this way again. 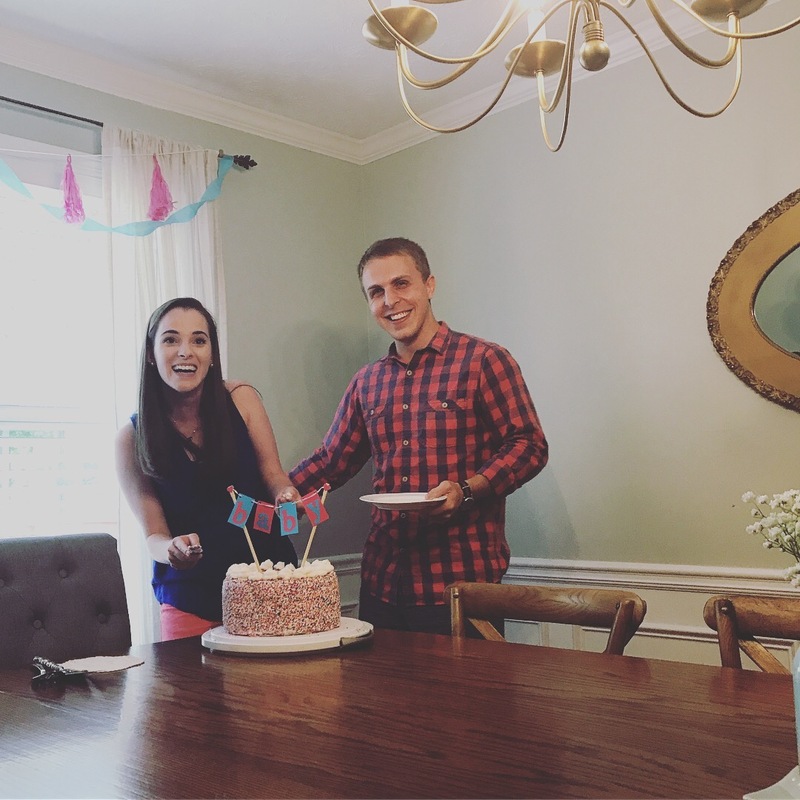 Part of what made things so fun was the fact that Matt and I were both convinced from the start that our baby was going to be a boy. 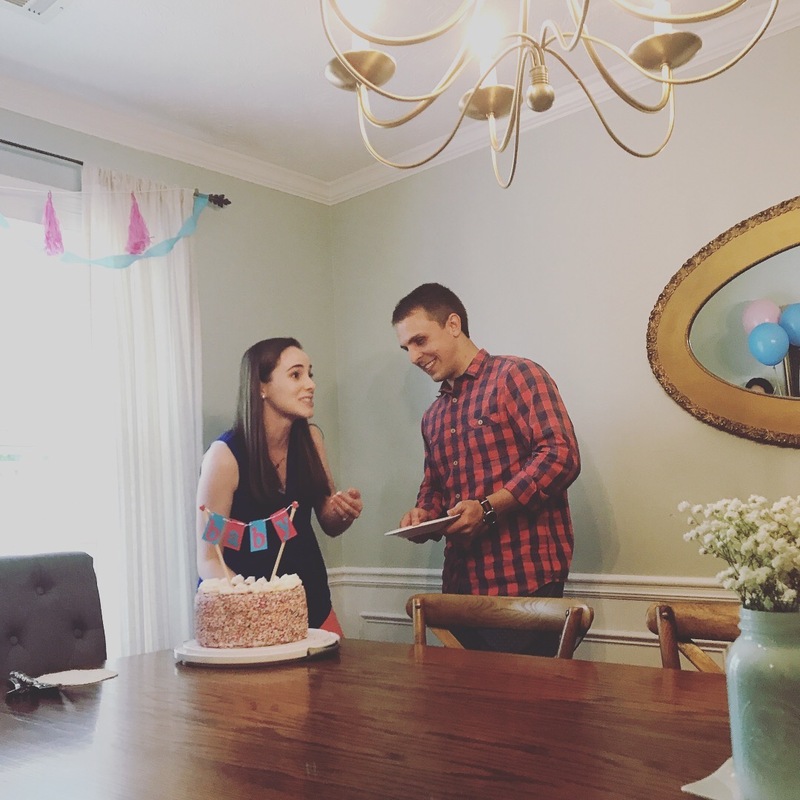 Then when we went for the sonogram, the sonogram technician found the gender really quickly so we just assumed if it was discovered so quickly then it was probably a boy. Not the case. Because, we are having a very active little GIRL! 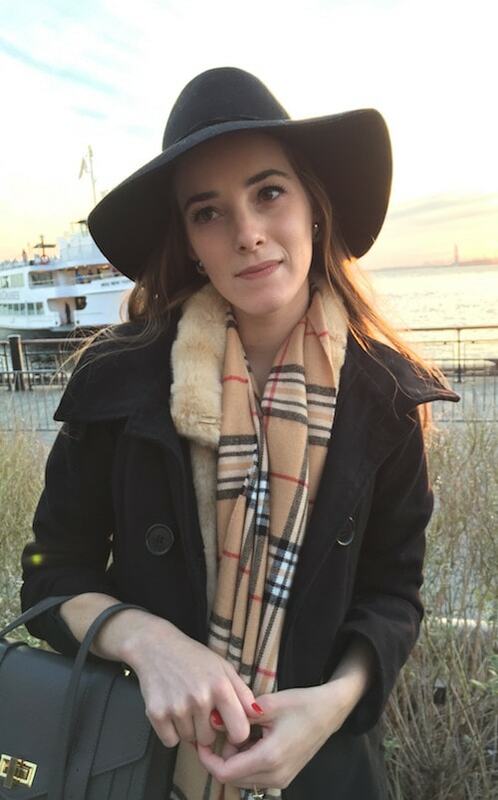 I was surprised and if you don’t believe me, check out the photos. 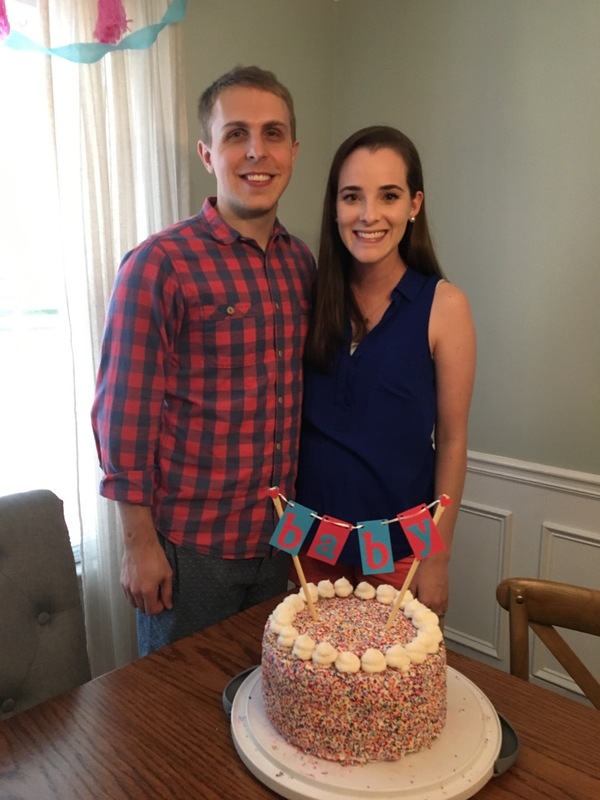 We are beyond thrilled to welcome this little one to the family in just a few months. Cheers to all things pink, sparkly and beautiful! We love you, baby girl!